The sadness of the Israel/Gaza conflict over the last two weeks has been that, every day, there seems to be a fresh and even more disheartening episode of anguish and sadness. Every day there is fresh horror. When the Israeli army bombed a UN shelter at a school – which it had GPS coordinates for, knowing that it was being used by the UN – killing more than 40 Palestinians (Hamas terrorists if you’d believe the propaganda, but women and children among them if you believe the hospitals) it seemed, with the fresh hope of peace talks and ceasefire, that the conflict had reached its nadir. But today, the 8th, brings even more terrible atrocities. News that children had been found by the Red Cross, lying almost starved next to their dead mothers, with Israeli troops less than 100 metres away. The Red Cross had not been allowed in over the past week to give vital aid to those hundreds of thousands that depend solely on it to survive from day to day. Only yesterday had the ‘humanitarian corridor’ been opened by Israel (is disgracefully late action, no doubt to be hailed as a sweeping grand gesture of compassion by their own spin office), at a time when many of Gaza’s residents may be beyond hope. This episode has sadly proven this to be true. And we have no idea how many more are in the same position, lying dead in their rooms, not from bombs or shells, or attacks from ground troops, but from simple lack of food and water, prevented by an illegal and despicable blockade that’s lasted well back to 2007, but yet seems to be swept under the carpet by the apologists that support Israel. Added to this, the UN has now suspended their aid operations after a UN marked truck was hit by an Israeli shell, killing two aid workers. What sort of country and people can see this as justified actions of war? How blinkered can we be, can the world be? How can this disgusting behaviour be accepted? It is not even the scantest form of self-defence, but yet our own government, the US, Canada, and Australia, who recognise Hamas only as terrorists, and not as any legitimate political party, continue to stay almost silent on the matter, calling only for ceasefire, not condemning the senseless acts and the continual blockade that has engulfed the area way before this war began. It’s actions that make me embarrassed and ashamed to call Labour my government. That we cannot see what is happening in front of our eyes, and see that it is inherently wrong. 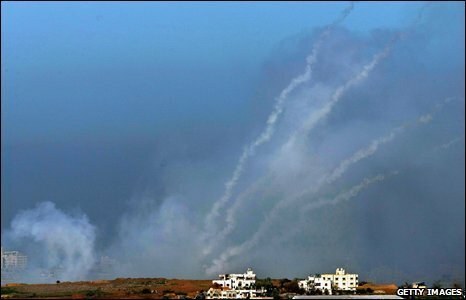 It was Israel that overstepped the line on November 4th 2008, breaking the ceasefire with a raid into Gaza that killed six Hamas fighters. But this is again something that’s been conveniently papered over, like much of anything that seeks to further the Israeli cause. But for the past weeks, and in the past few days in particular, it’s made these pale into insignificance by its actions, as if it’s challenging itself to stoop lower each time. History will look back on these days as dark times, ones that we, as those that live in countries that support the Israel movement and condemn the actions of Hamas outright, should be deeply ashamed. Because people are dying in squalor and poverty, and we sit by and watch it happen.